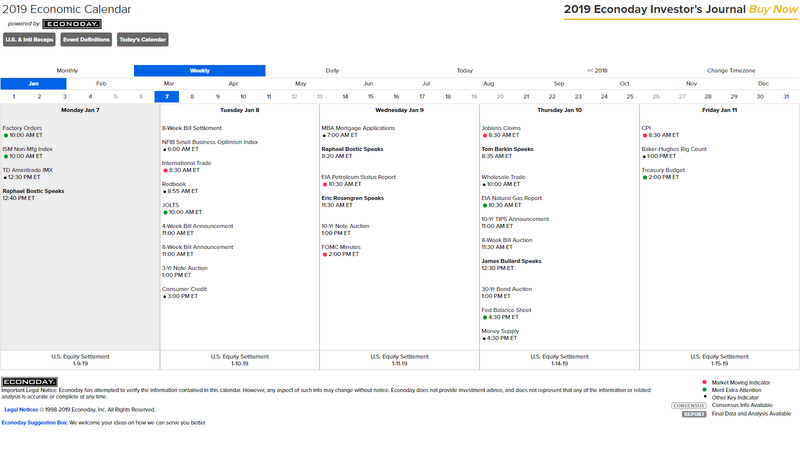 Last week, economic data was mixed in what was a light week with only 15 releases. 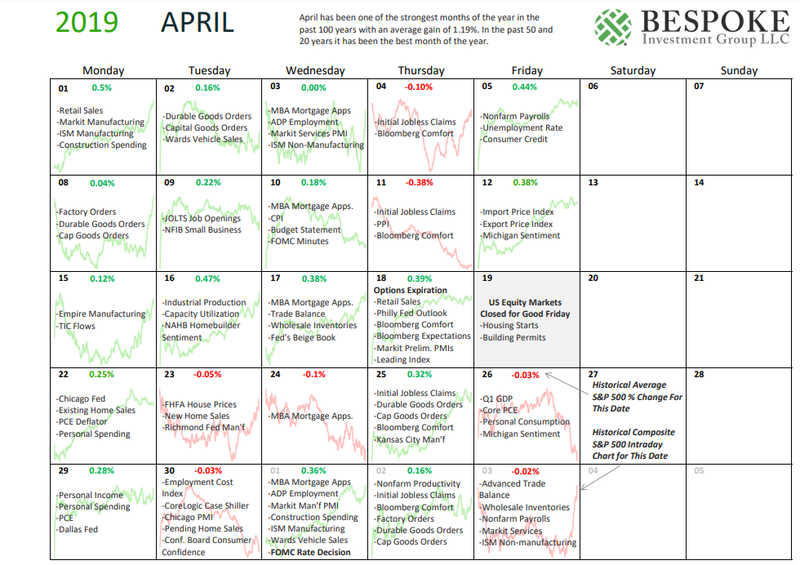 The first half of the week only saw housing data, which came in stronger through homebuilder sentiment and mortgage applications. 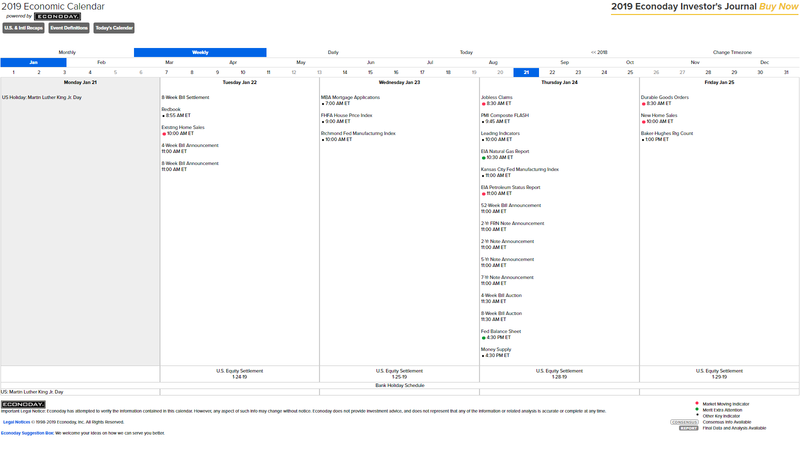 The Philly Fed’s Business Outlook collapsed to kick off a busy day of data on Thursday. 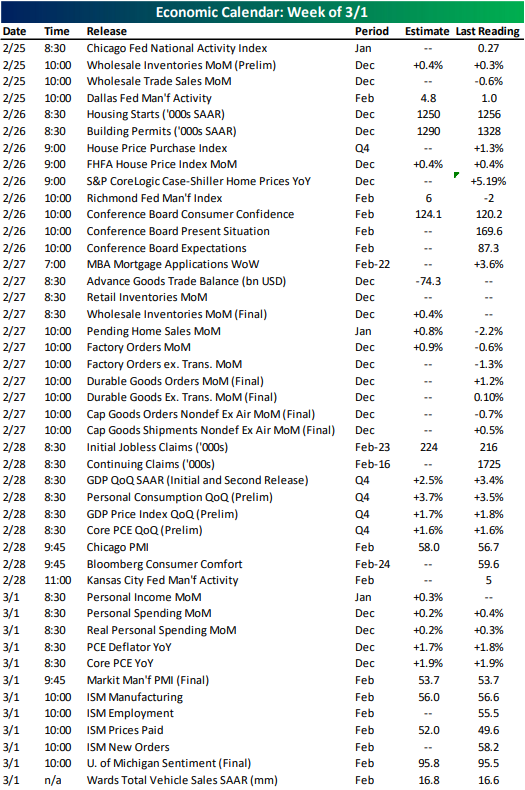 Factory Orders and Markit PMIs also showed some weakening conditions in manufacturing. 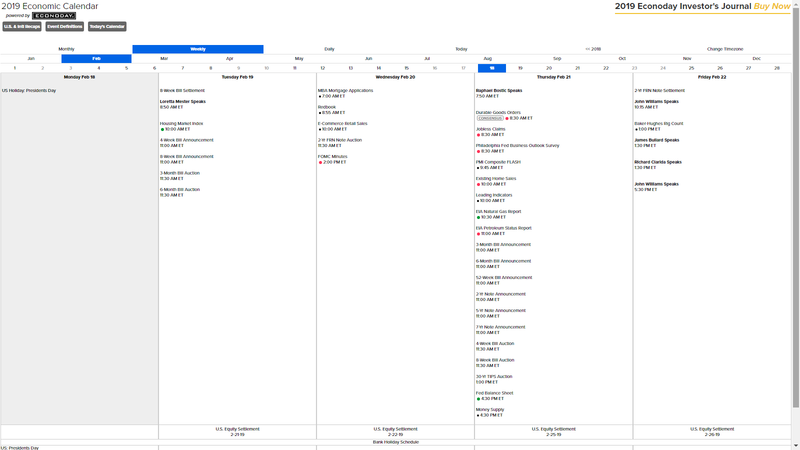 This week, data activity picks back up with 34 releases scheduled. 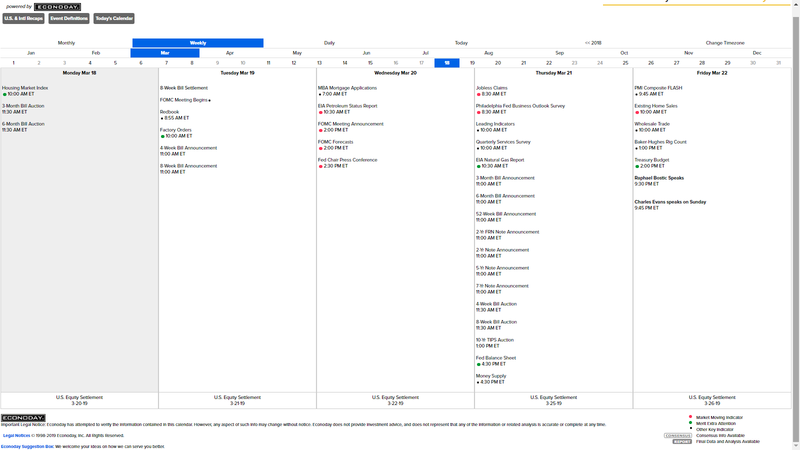 Earlier this morning, the Chicago Fed released their National Activity Index with a much weaker print. 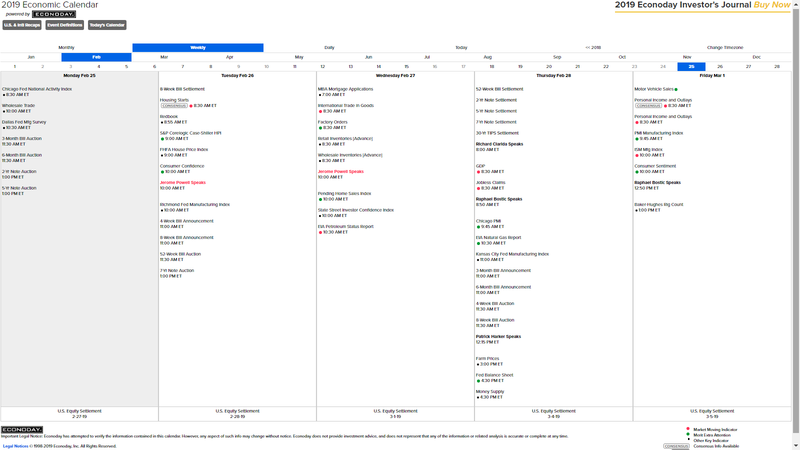 Later this morning, the Dallas Fed will release its regional Manufacturing activity index. Later in the week, the Richmond and Kansas City releases will come out. 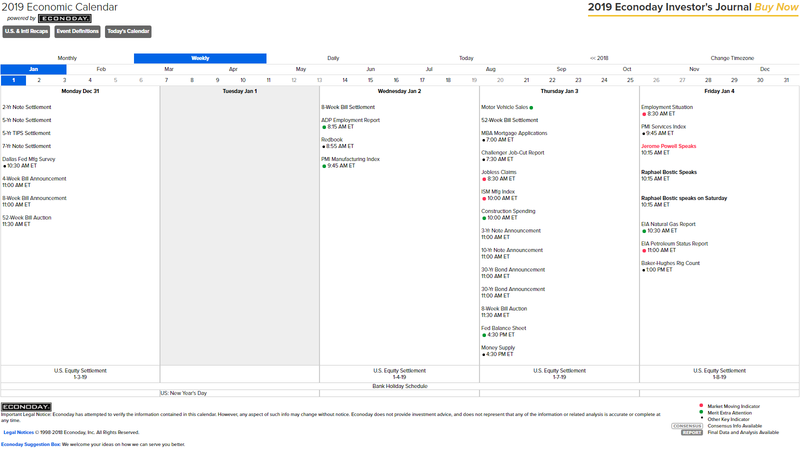 Tomorrow will be full of housing data including starts and permits, the quarterly House Price Purchase Index, FHFA Index, and Case-Shiller home prices. Pending Home Sales will come out on Wednesday. 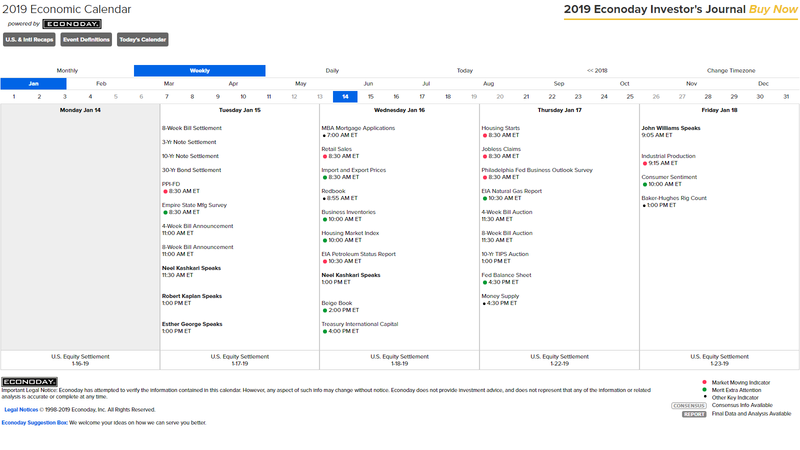 Thursday we get the combined first and second release of Q4 GDP data which is being forecasted to show a slowdown of 0.9% from the previous quarter. 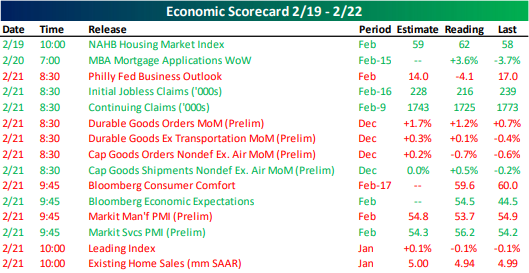 We will end the week and kick off March with Markit Manufacturing PMIs and the ISM Manufacturing Index. 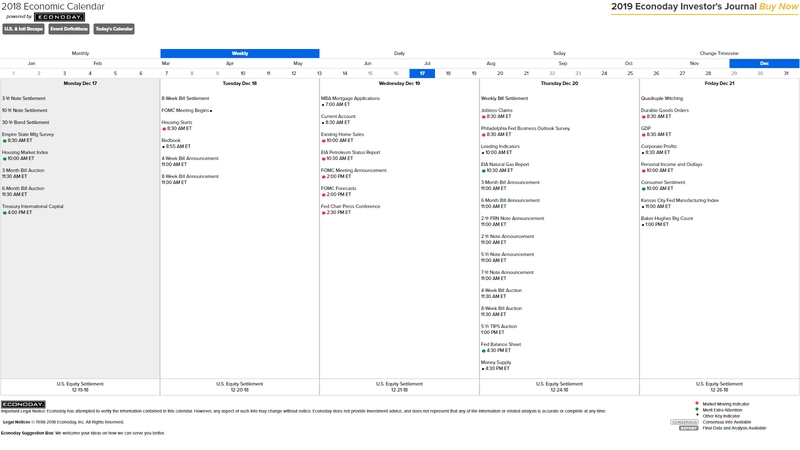 As we noted in previous weeks, a solid portion of recent data is from the backlog of delayed releases as a result of the government shutdown. 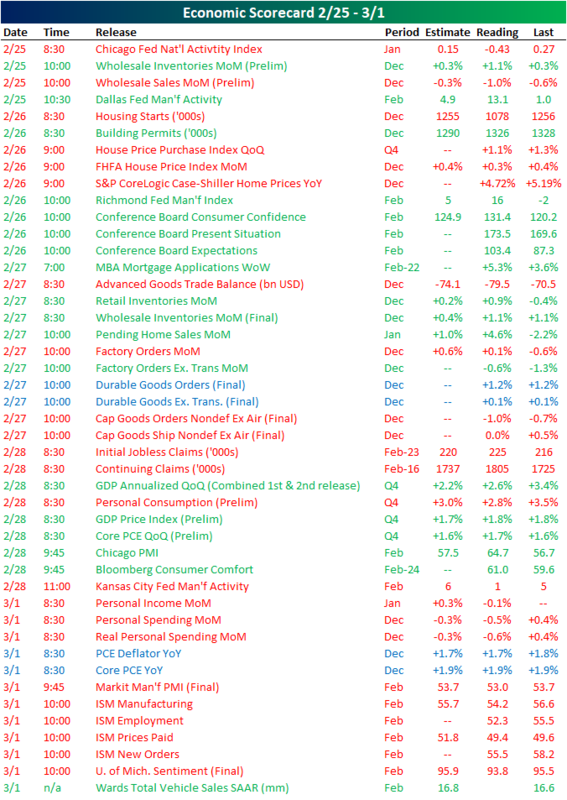 While last week only crossed off a few of the December indicators, this week will basically get us all caught up. 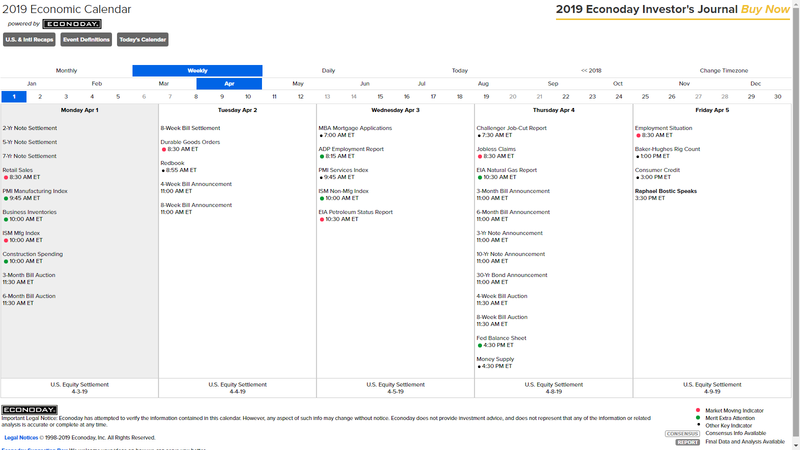 By the end of the day Friday, the only release left will be Construction Spending and New Home Sales for December which will come out next week. 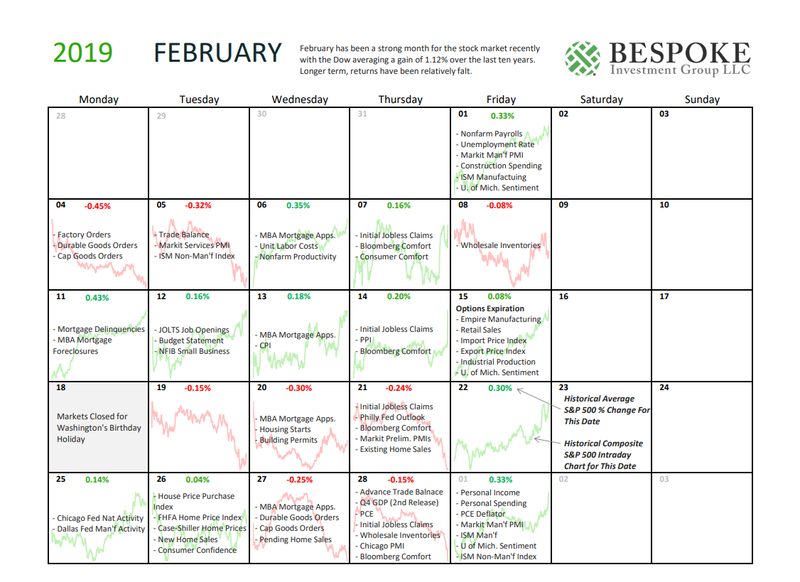 February came to a close with a busy week in economic data. 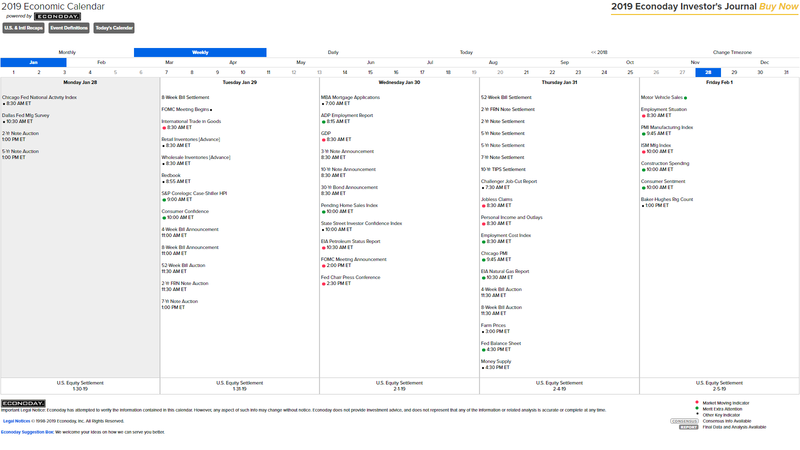 We got 45 releases last week with a small majority (23) coming in below expectations or the prior period. 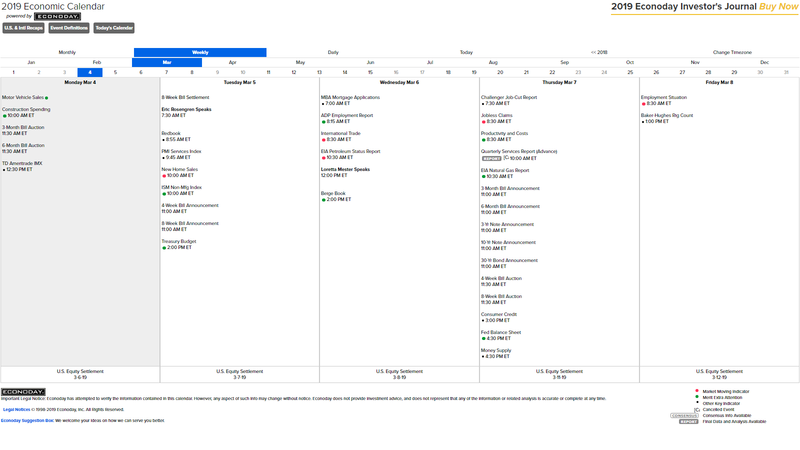 Monday saw the Chicago Fed National Activity Index miss by a wide margin. 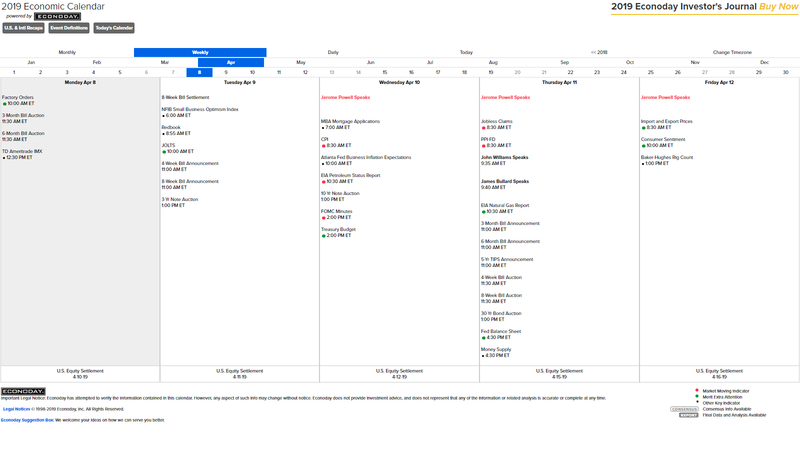 Conversely, the Dallas Fed’s Manufacturing Activity beat forecasts by a wide margin. December housing data released Tuesday was very weak in terms of Housing Starts, though, permits were a silver lining indicating better future activity. Tuesday also saw a solid increase in Consumer Confidence. 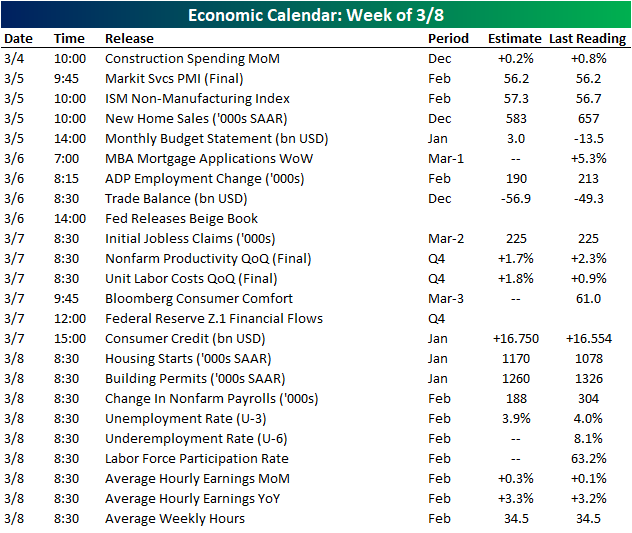 Q4 GDP data was the biggest release of the week on Thursday. While it did come in lower, GDP beat expectations by 0.4%. Finally, on Friday the Markit Manufacturing PMI and ISM Manufacturing Index both came in weaker than expectations. 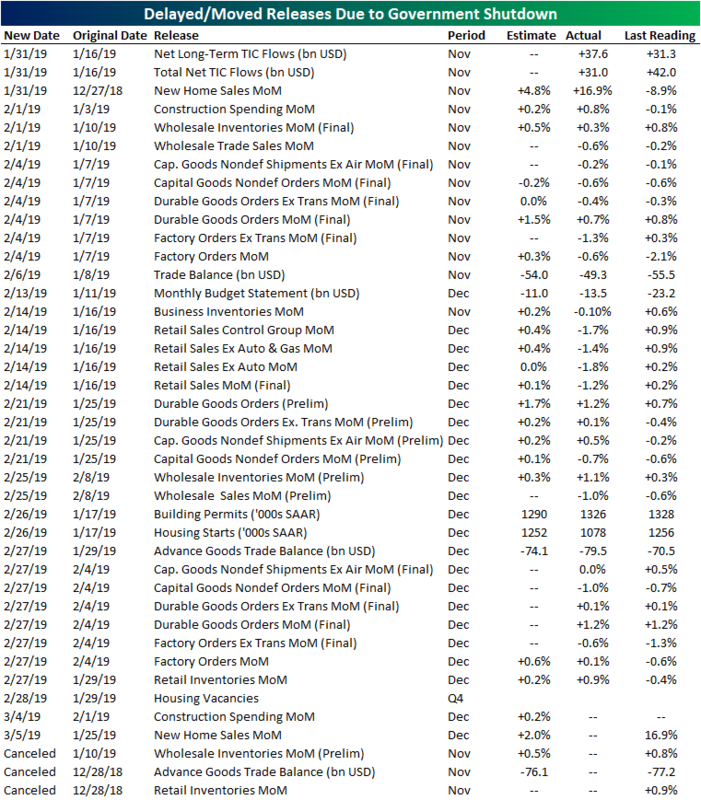 Coming up this week, the delayed Construction Spending data for December is the only release today, expecting a downtick. 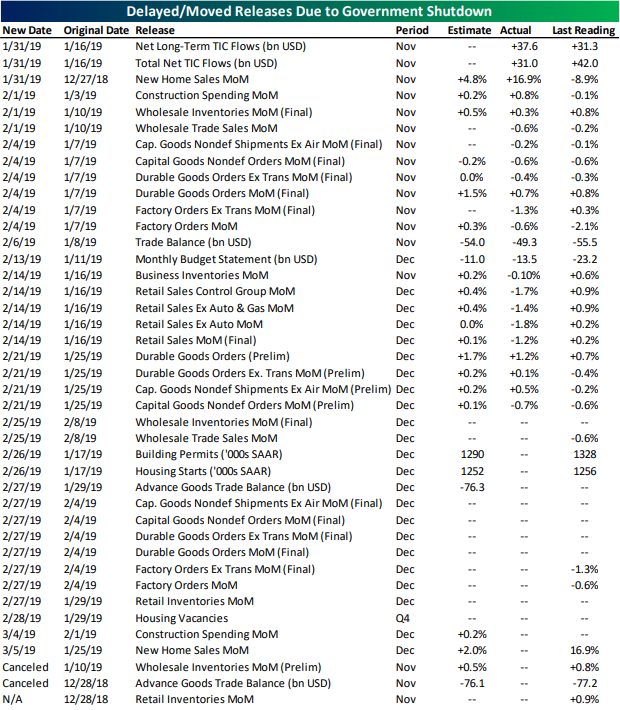 Out Tuesday are the service portions of Markit PMIs and ISM data. 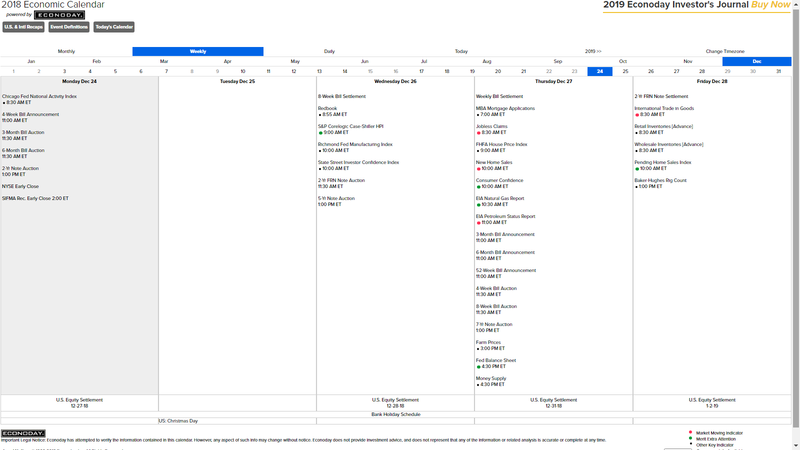 Also scheduled for Tuesday is New Home Sales for December—one of the final delayed releases as a result of the government shutdown. 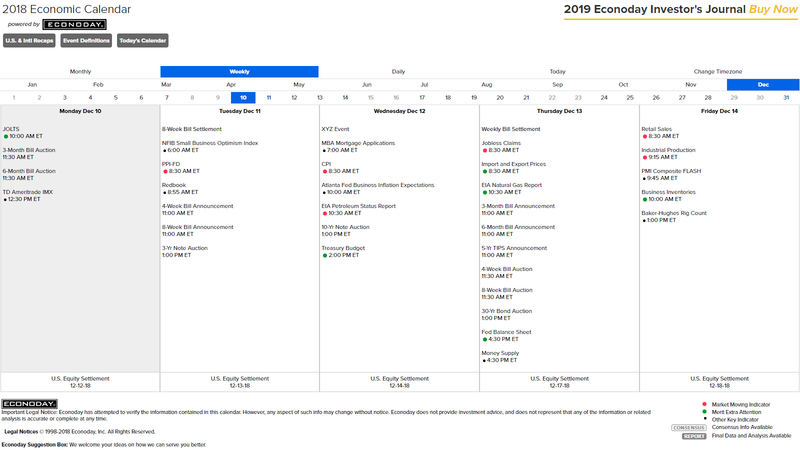 Wednesday, we will get an update on the Trade Balance as well as the Fed’s Beige Book later in the day. 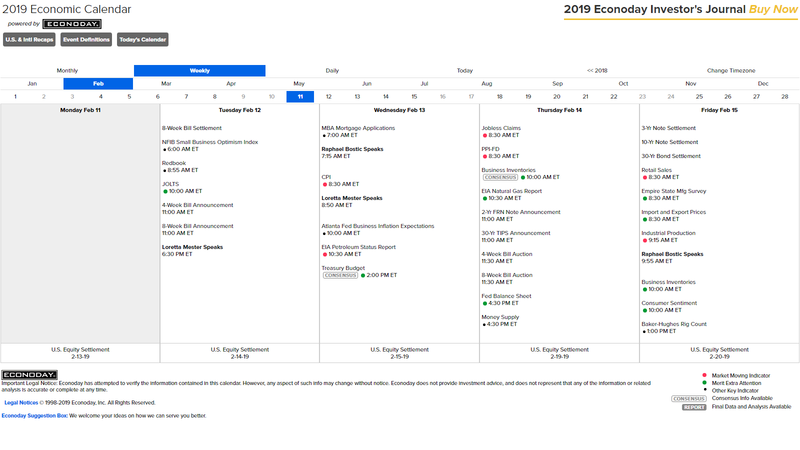 Q4 Nonfarm Productivity, Unit Labor Costs, and changes in household wealth as seen through the Fed’s Z.1 Financial Flows report are all out Thursday. 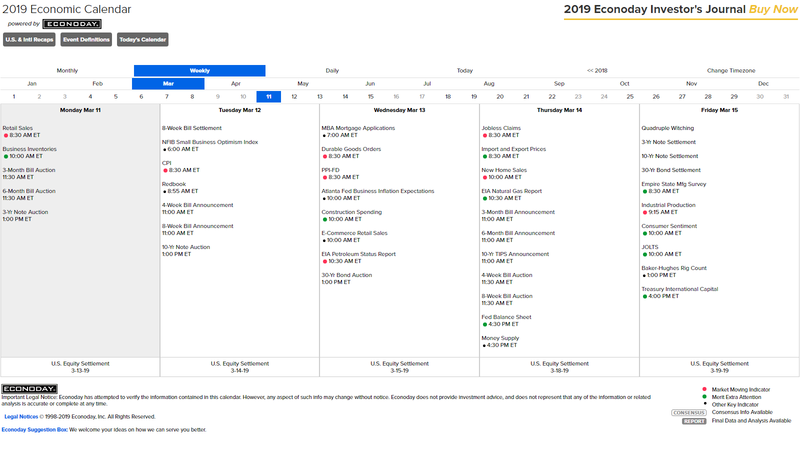 We cap off the week with the Nonfarm Payrolls report which is expecting to show a still hot labor market. 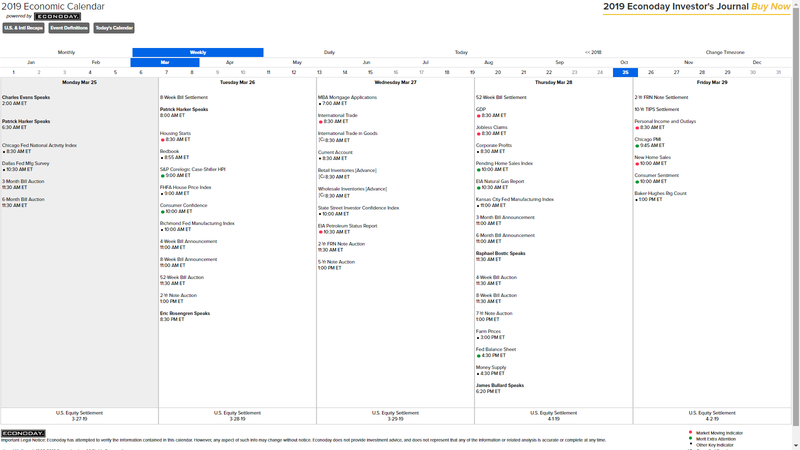 With several more releases of December data points this week, we are just about caught up to all of the releases that had been postponed due to the government shutdown. Only two releases have yet to come out: Construction Spending and New Home Sales. Both of these will come out early this week. With the data now out, the revisions should be watched as there potentially could be some large changes in these November and December numbers.